We are here after a long holidays month and we are full of good notices! First of all we would like to thank you all the participation in the blog and mails that we are receiving every single day. We cannot be more happier! We also want to inform you that Booletes is growing so fast and new surprises are coming in the page and our social networks (Pinterest, Facebook, Twitter and Instagram), so be very aware! 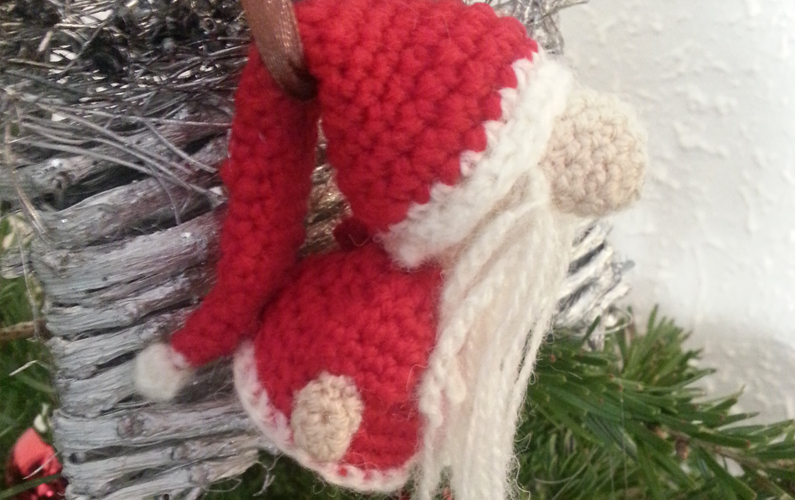 Finally, as you know, SANTA CLAUS FREE AMIGURUMI PATTERN was the first Free Pattern in Booletes.com and with this Free Christmas Pattern started all. We have noticed that many people have some doubts with Santa’s Amigurumi Beard. 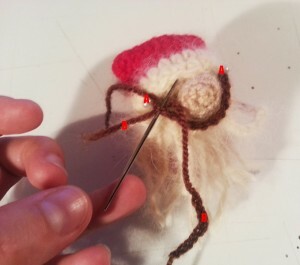 So, we start this new chapter of Booletes with an amazing Upload: HOW TO DO SANTA’S BEARD? Follow the instructions and pics and, also, have fun! Here we go! 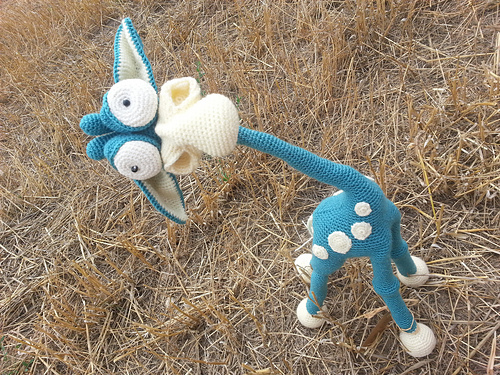 You can download the PDF pattern, here! 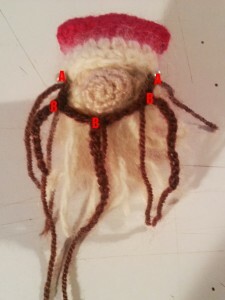 To make it easier to understand, is done an example with brown yarn. Beard should be worked in chain. Make a FIRST (A) CHAIN of 10 sc. Make 10 more chains (B) that will be the ones that should be sew it in the first chain as is marked in the picture. 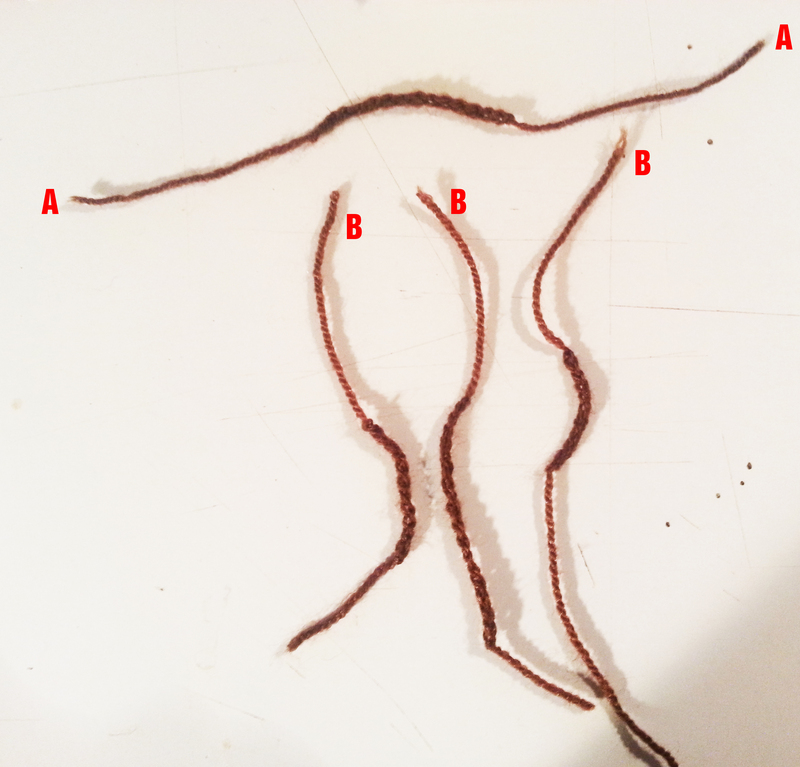 If you prefer, you can try to do 1 chain of 10, 1 chaing of 6… and so…to make the beard more irregular. Then the beard is more varied. See picture below. 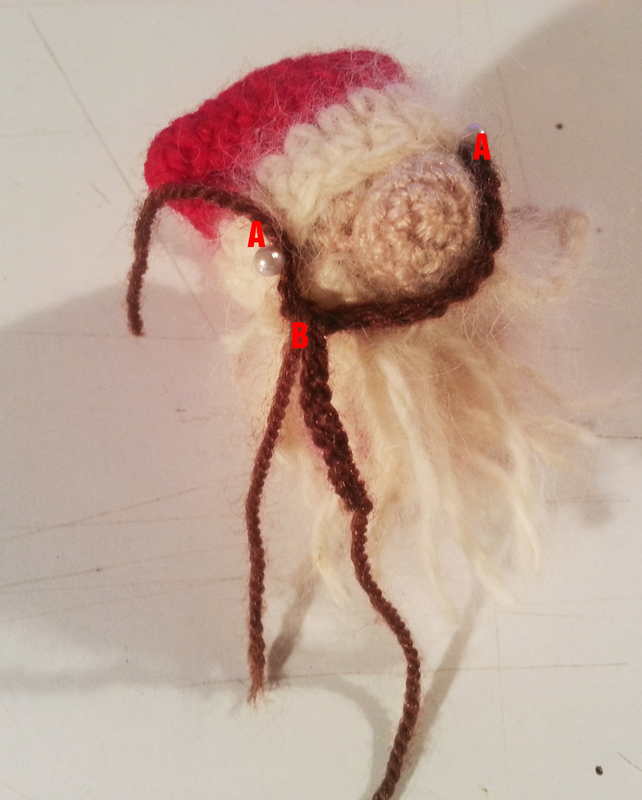 Sew the first chain (A) to Santa’s body (our example beard is in brown, your beard should look like than the white one). So, that’s all, hope you have enjoyed. For any doubt please contact us! or send a reply to this post. 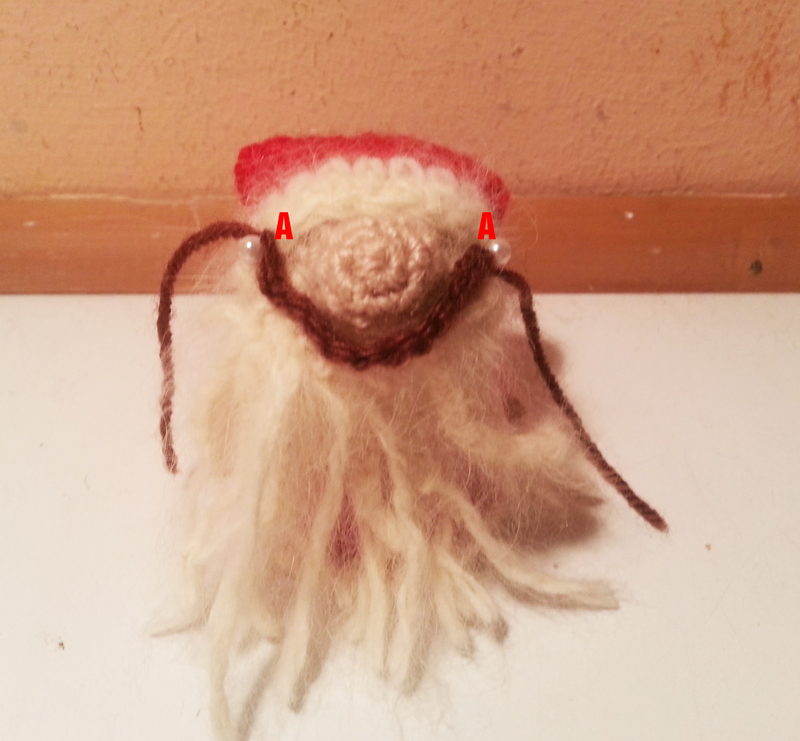 Remember that new surprises are coming very soon! We are working on them really hard for all of you.